This is a super romantic dress style with a slight vintage vibe. The short dolman sleeves comfortable cover the shoulders while the open back gives an edge to the otherwise demure look. 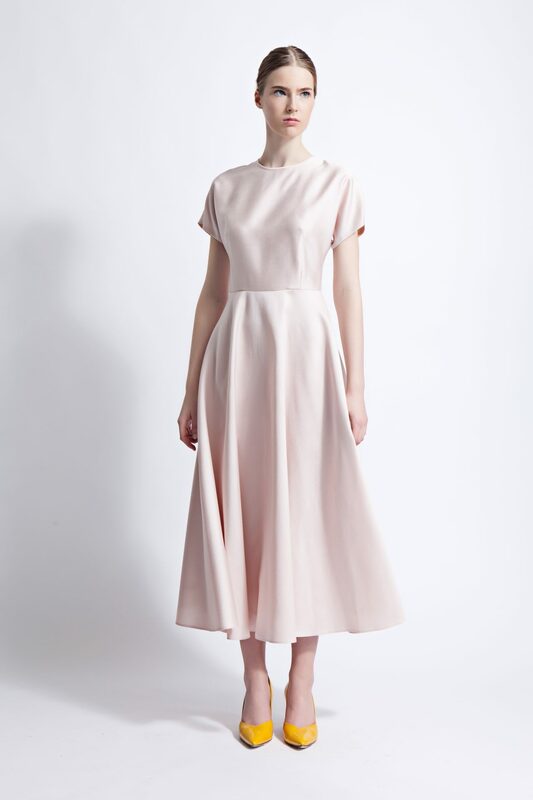 The silk and wool blend faille fabric falls to an elegant midi length skirt. Styling tip: Complement the blush hue with neutral or metallic accessories.